There are pieces one hopes never to have to write, even when holding onto that hope is holding out against one of life’s simplest inevitabilities. Reporting on the death of Isao Takahata, the Studio Ghibli co-founder and Japanese animation titan who passed away today at 82, is one of those pieces. 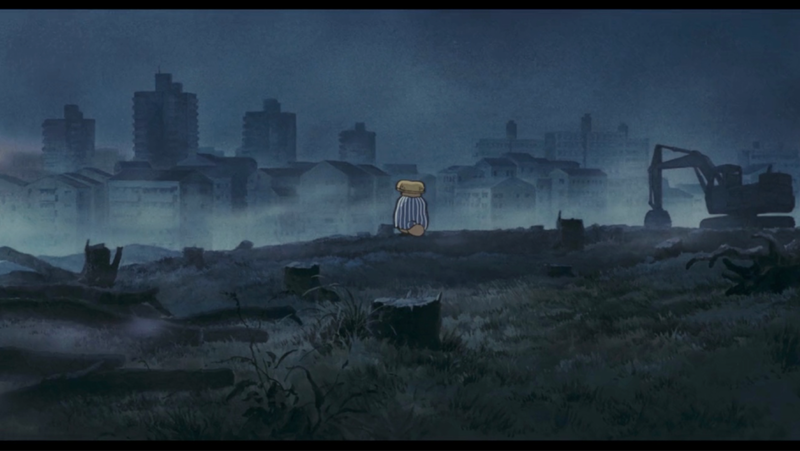 And that sentiment – of holding onto or coming to terms with the futility of a hope that stands opposed to the simple, forceful transience of all existence – is one of those existential quandaries Takahata explored so beautifully, so insightfully, so painfully, so spiritually, in his extraordinary work. Though his lifelong friend, co-worker, and fellow Ghibli founder Hayao Miyazaki is the better known name, with the better known films, I have argued that Isao Takahata and his work are even more important landmarks in the history and development not just of Japanese animation, but world cinema in general. For where Miyazaki is one of the greatest commercial filmmakers the medium has ever known, Takahata is one of the most restlessly innovative, from his younger days as one of the first pioneers of the art we now call ‘anime,’ all the way to his last feature film, The Tale of the Princess Kaguya,ameditation on life, death, and everything between experimentally animated to look like moving sketches, its themes of transience mirrored in its profound aesthetics. I have called his first film – The Great Adventure of Horus, Prince of the Sun– the most important animated film ever made, anywhere in the world, for how boldly it broke with the then-largely-unchallenged Disney models of narrative and aesthetics in animation, and for how eloquently it laid out a future in which commercial animation could be anything it wanted to be, especially at home in Japan. It is an opinion I believe in more strongly the more I study film. This is the man who made animation’s equivalent of Citizen Kane, and neither he nor his work get nearly enough credit for this in the West. Here is the download page at the University of Colorado where the work is hosted. And here is a direct download link to the PDF of the Thesis. The films of Japanese animation director Isao Takahata are notable for their vivid and complex characters, deep engagement with Japanese history and culture, and for their increasingly bold visual innovation and experimentation over Takahata’s half-century spanning career. Yet these are also films replete with loss, nearly all of Takahata’s theatrical works emotionally and thematically constructed upon foundations of death, transience, and grief. Children dying in the fire-bombings of the Japanese countryside during the Pacific War; a woman reflecting on lost parts of herself as she wanders through distant memories; a celestial daughter born to experience the joy and sorrow of mankind’s transient plane; these are the kinds of stories Takahata tells, and this study is primarily concerned with exploring the heart of absence that exists within each of them. Through close readings of three Takahata features in particular – Grave of the Fireflies (1988), Only Yesterday (1991), and The Tale of the Princess Kaguya (2013)– and other films around the periphery, alongside engagement with texts about Japanese spirituality and broader works about the human experience of loss and wandering, this study aims to both trace the core themes of one filmmaker’s career, and to analyze loss as a dynamic and fluid ethereal force. With the animated canvas of Takahata’s films offering a perfect medium upon which to study loss, its hand-crafted, transient form enhancing and challenging the ways in which loss is cinematically analyzed, this study asks readers to reconsider their relationship not only to the moving image, but also to the emotional forces of absence, wonder, and grief. Guided by a series of short interstitial personal remembrances from the author, this study is as much an exploration of emotion and human processing as it is an examination of film and form, crafted with the implicit goal of demonstrating how closely aligned these typically disparate fields of study are within the human mind and heart. I am deeply heartbroken by this loss – I must confess that the death of a filmmaker has never hit me so hard as this one has. Takahata was a hero to me, and to so many others. That his spirit, wisdom, and artistry will live on through his work, for as long as we watch and study films, is however a powerful consolation. If you have never seen them, now is the time.